I just got back home after a spending a few days in Los Angeles attending a blogging conference. The highlight of my time in LA was getting to meet Randy Peterson and several Boarding Area bloggers at a dinner that he was kind enough to host for us Friday night. It was really cool to get to meet Randy (he flew out there just for this dinner) and I got to spend some time talking miles, points , traveling and blogging with the veterans behind Deals We Like, Frequently Flying, Loyalty Traveler, Mommy Points, Road Warriorette, Wandering Aramean, Flight Diversions, Points Miles & Martinis. I think it’s safe to say there there wasn’t another group in the restaurant with as many mileage geeks sitting at the table. My upgrade didn’t clear on the way out, so I figured that the highlight of my flight was going to be the fact that plane had wifi. I was wrong. 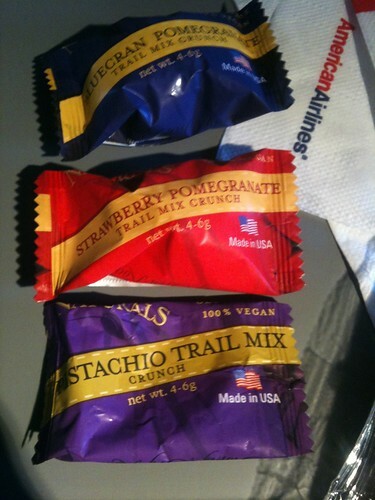 While I did enjoy the wifi, the highlight of my flight turned out to be getting the chance to try the new snack box that American has started selling on some of their routes in and out of California. Enjoy a collection of health conscious ingredients selected to promote an active lifestyle – delicious whole grain crispbread and multi-seed crackers to pair with protein-packed hummus dip, Mareblu Naturals, Snapz apple crisps, walnuts, almonds and Emergen-C to boost your health and energy. 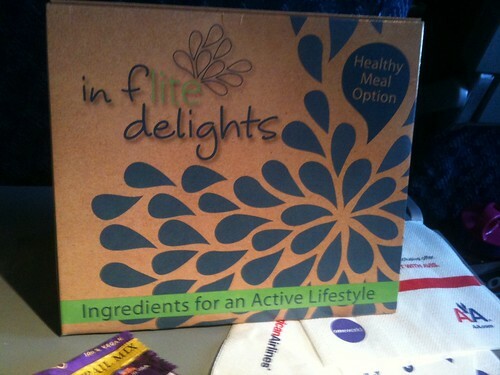 The box contains several small portions of food items that are low in fat and sugar, and free of artificial ingredients. They only offer it on afternoon flights between DFW and LAX/SAN/SFO/SNA (I suspect that it’s mostly to please the Californians rather than the Texans on those route) but they really should consider offering it on all their flights. It’s not a meal, but it gives you something to munch on with an afternoon coffee or drink. 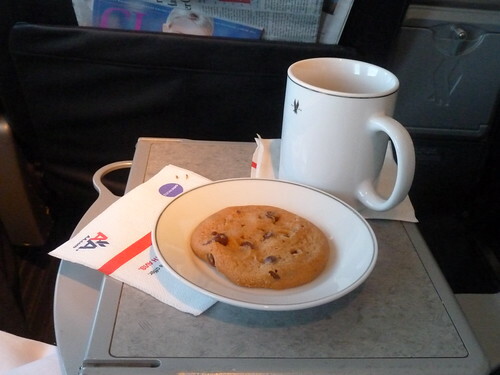 Of course it’s not as good as the cookie…. Love the less than one ounce amounts of items. Bravo for AA! 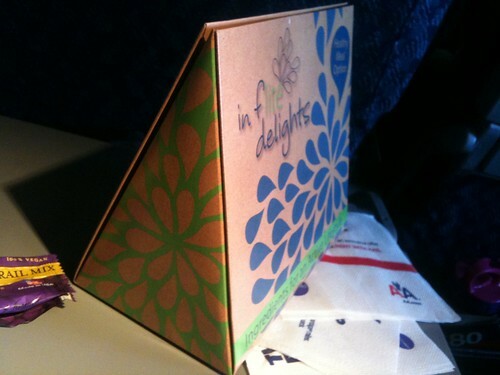 I usually ride upfront, but even ExecPlats don’t always clear between DFW and W Coast (such as my recent DFW-SNA). So this is a welcome development for those of us who like a decent, light snack with our coffee. This looks so much better than anything else they currently offer, IMHO. 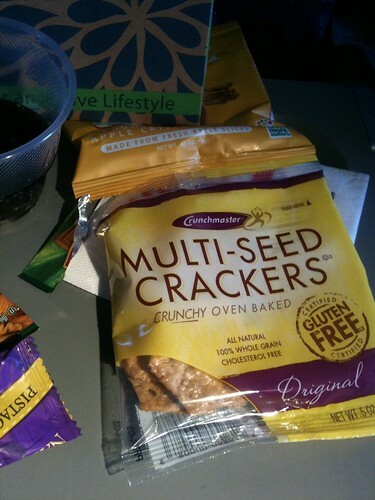 1+ for putting this on ALL flights!!! I had such a great time getting to hang out with you!! 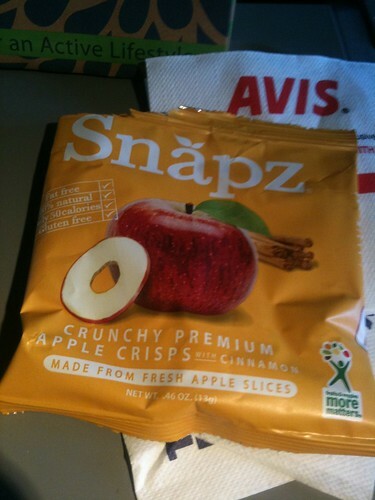 Something tasty on the flight is always nice. 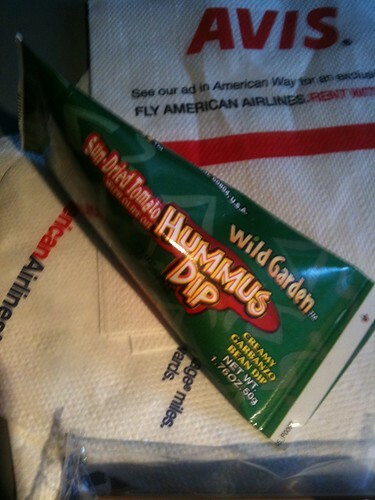 Hope they spread this out to other flights, I would totally get it every time. 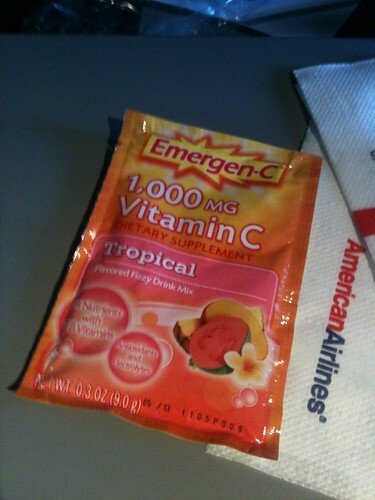 And hooray for Emergen-C! On long trips that stuff keeps me going. Way better than UA’s snack box. UA’s is hardly edible. For $8.29? That’s $7 worth of packaging. 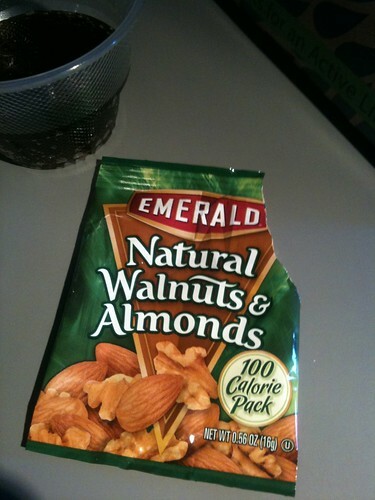 And the <0.5 Oz portion of nuts is just underwhelming. The envelope almone weighs almost that much. 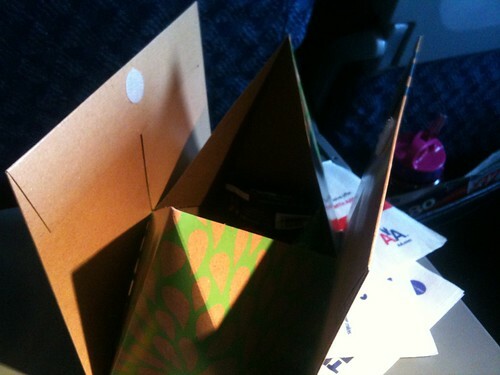 Those other goodies, marked 4g – 6g each? Why bother? Take your own snacks folks!! 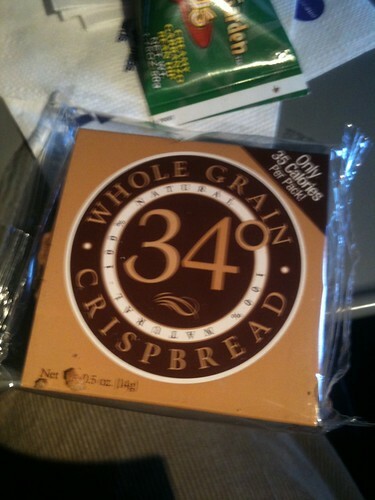 Half of that is stuff I’m allergic to, the other half looks like crap. Now the cookie, that is something I could go for.